Every CPU ships with a stock cooler, but the one that you get out of the box might not be the best one for your needs. And what should you do when that stock cooler is just not up to the task anymore? Perhaps it cannot handle your overclocking ambitions or it downright broke, and when that happens, you should get a better third-party CPU cooler! 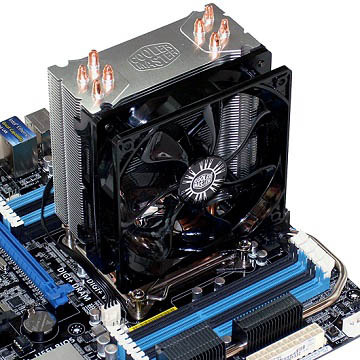 In this article, we will be listing a variety of CPU coolers, air and liquid-based alike. We will also include a short guide at the end with the aim of helping you pick out the best one for your needs. The standard and most widespread type of CPU cooling is air-based. The way that air cooling functions is simple: a heatsink absorbs the heat generated by the CPU, and that heat is subsequently dissipated by an active fan. Air cooling is more affordable than liquid-based cooling and is more than efficient enough for the majority of users which don’t plan on doing any heavy overclocking on their CPU. Arctic is not a particularly well-known company, seeing as they deal mostly in coolers and some extra accessories. Their Alpine 11 GT CPU cooler is an excellent replacement for the stock Intel cooler, but it won’t offer much in terms of performance. It’s an overall good low profile CPU cooler. It is designed to be as quiet as possible, but it does manage to keep your CPU at a slightly lower temperature than the standard cooler can. This is mainly thanks to the heatsink design, which is denser than what you’ll see with the stock Intel cooler. 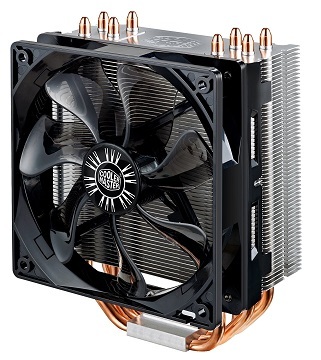 All in all, the Alpine 11 GT is not a significant upgrade over the stock Intel cooler. It is roughly the same size, although the bulkier heatsink does help if you want to minimize noise levels. 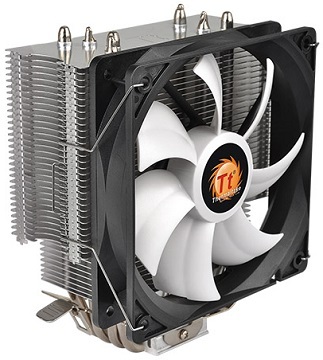 That said, it will not be able to handle any serious overclocking, but considering the low price tag and the limited 6-year warranty offered by Arctic, it is a great option if you’re just looking for a substitute for a malfunctioning stock cooler. Now, we are slowly entering the territory of the more serious CPU cooling solutions. The Thermaltake Contac Silent 12 is a universal cooler compatible with both the latest Intel and AMD sockets, and also capable of handling some overclocking. It has a large heatsink and multiple aluminum heatpipes, complete with a large contact surface area and a powerful 120mm fan. When compared to AMD’s new stock Wraith coolers, the Contac 12 doesn’t fare that much better in terms of cooling itself. It keeps the idle temperature slightly lower, although the temperature under heavy load is a tad higher compared to the Wraith. However, this offering from Thermaltake beats the Wraith coolers in one way: noise generation. Namely, the Contac 12 combines a large heatsink with a slower-spinning fan, leading to it being much quieter than AMD’s latest stock cooler. That said, the Contac Silent 12 will definitely provide an edge over the standard Intel cooler, seeing as it was outperformed by the Wraith at pretty much every turn. All in all, it definitely does live up to its name, and will be a good upgrade for anyone seeking to make their PC quieter, as well as those seeking to up their Intel CPU’s clock speed to a degree not possible with the default Intel cooler. And now, for those seeking some serious cooling, we have the Cooler Master Hyper 212 EVO. It is another beefy universal cooler that combines excellent performance with relatively low noise levels, and it even looks good to boot. With the dense aluminum heatsink, four direct contact copper heatpipes, and a powerful 120mm fan, you can rest assured that it will be able to fulfill the needs of all but the most avid of overclockers. The Hyper 212 EVO is among the most popular aftermarket coolers right now, and not without a good reason. It is proven to be capable of outperforming both Intel and AMD stock coolers in every regard: idle temperatures, temperatures under load, and noise generation. However, the improvements over AMD’s Wraith cooler are still more limited as compared to the advantages it has over Intel’s stock cooler, so keep that in mind if you’re considering an upgrade for your stock Wraith. As for Intel users, you’ll find that this cooler will simply blow your old stock one out of the water in every department. The Noctua NH-L9x65 shifts the focus from sheer performance to compactness. 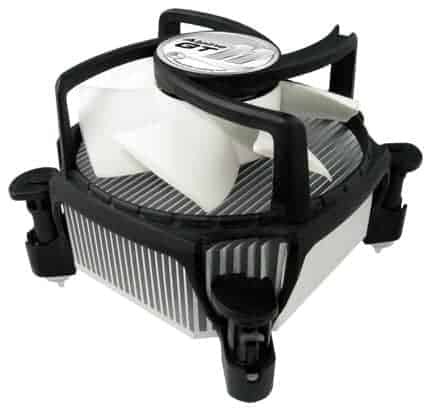 It is a small form factor cooler ideal for the more cramped computer cases, as it takes up very little space compared to other coolers of similar specs and performance. With that said, it has a small and dense aluminum heatsink and copper heatpipes, as well as a rather fast-spinning fan to compensate for the former’s modest size. If performance and noise aren’t above space management on your priority list, then this Noctua cooler might just be the perfect choice. 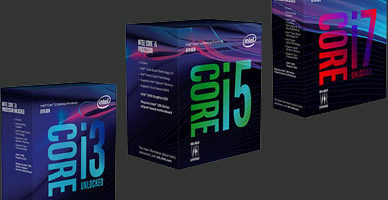 It will fit with just about any configuration, and the performance is still superior to that of Intel’s stock coolers. On the other hand, it is a rather pricey cooler, and the appearance of the fan is not doing its aesthetic appeal any favors. But regardless, the NH-L9x65 is built to suit a specific purpose, and it fulfills that purpose admirably. Ready for something a little different? 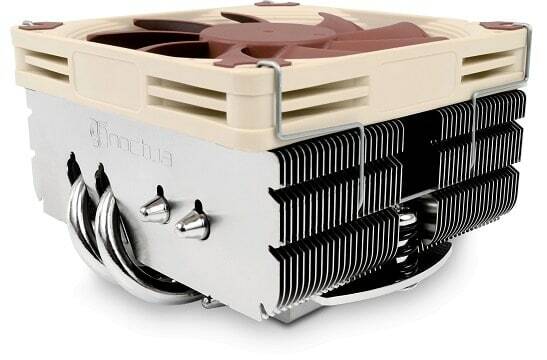 Here, we have one of the more performance-oriented coolers from Noctua, the NH-D9L. 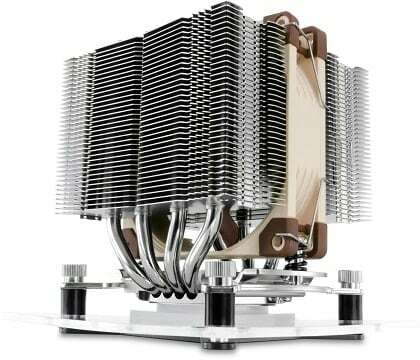 It is commonly called the “dual tower” CPU cooler due to its unusual design. Namely, the fan is placed vertically in between two separate aluminum heatsinks. This, combined with the copper contact plate and heatpipes, provides for some excellent heat dissipation. Perhaps most notably, the cooler is extremely quiet considering the performance. The NH-D9L may look intimidating, but its thermal performance is not much superior to some competing models. However, it is incredibly quiet for a cooler of this size, which also happens to be its main strength. Other than that, it shares the same weaknesses with its smaller Noctua sibling: a relatively hefty price tag and a not very premium-looking fan. But in the end, if you want the perfect blend of performance and low noise, this is the right choice for you. As bad as the notion of having water circulating through your expensive PC’s delicate electronics may seem, liquid-based cooling is some of the best around. The way that it functions is a bit more complex as compared to air cooling: water circulates between the CPU and the case-mounted radiator. This radiator functions as a heatsink, and it is subsequently cooled by one or more fans. For the majority of users, liquid cooling is a complicated and needless investment. However, it is a must for enthusiasts who want to get the most out of their CPU. 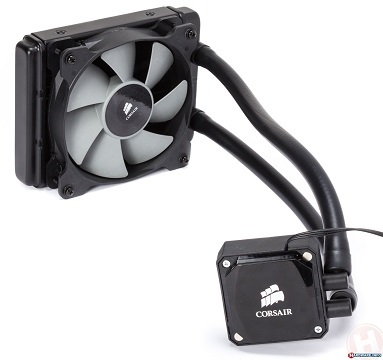 We’ll be starting small, with a somewhat basic yet highly reliable liquid cooler from Corsair – the Hydro Series H60. The cooler is equipped with a copper contact plate, while the radiator itself is made of aluminum. It is a closed cooling system, meaning that it doesn’t need refilling. And finally, the radiator uses a single 120mm fan as a means of heat dissipation. The Hydro Series H60 is by no means the best liquid cooler around, but it is definitely a great entry-level solution when it comes to liquid coolers. If you’re upgrading from an air cooler, you will definitely see a temperature drop of as much as 10 degrees Celsius, as well as lower noise levels. There are no glaring issues with the cooler itself, but it does have fierce competition to contend with in this price range. 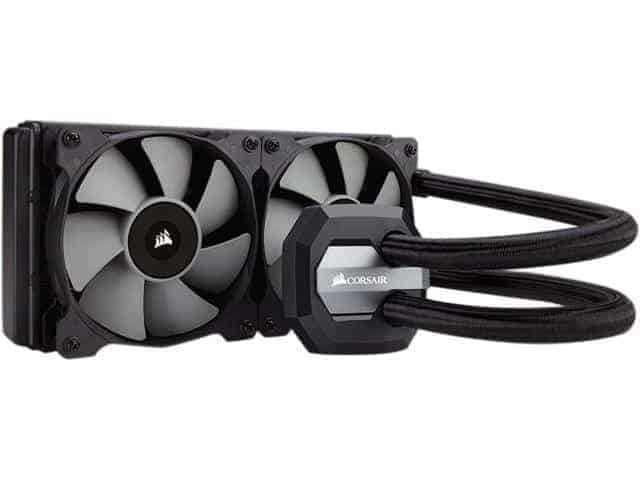 Nonetheless, this Corsair cooler is a tried and true solution, so you have nothing to fear if you decide to go with it. After the H60, we have the Hydro Series H100i v2 – the former’s bigger and meaner sibling. It is also the updated version of the regular H100i, although the changes are mostly minor, coming down to lower noise levels and some additional fine-tuning. But not to compare the old and the new, both are exceptional coolers with a large 240mm radiator and two fans. And of course, like the rest of the Hydro Series, the H100i v2 is a self-contained cooling system. As a cherry on top, it even includes RGB lighting to give your PC that particular gaming flair. When looking for a good-looking, well-performing liquid cooler for your PC, the H100i v2 is a great choice. Granted, it is expensive, but you won’t find this kind of thermal performance at a lower price tag anyway. After all, you’re getting a full package: performance, low noise, and RGB as a bonus! 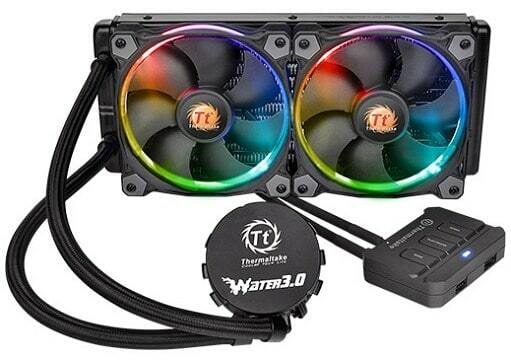 Next up is a solution from Thermaltake, the Water 3.0 liquid cooler featuring the company’s Riing RGB fans. 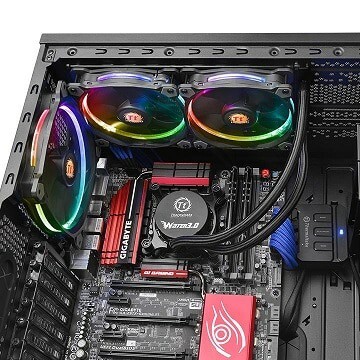 The default version uses a 240mm radiator with two fans, although a more expensive version with a 360mm radiator and three fans is also available. Similar to the above H100i v2 from Corsair, it uses a copper contact plate and aluminum radiators, although it also comes with a special controller which controls not only fans speed but the lighting as well. In terms of performance and efficiency, the Water 3.0 is comparable to the H100i v2, although it is slightly better. The biggest difference is that it is quite a bit quieter due to utilizing slower-spinning fans. On top of that, some might find that the Riing fans’ RGB lighting just looks better than what is offered by Corsair in the aforementioned cooler, but that is a matter of taste. But all in all, the common disadvantage of both of these two is the high price tag. As with the rest of a computer’s innards, which CPU cooler represents the best investment is entirely up to your needs and preferences. 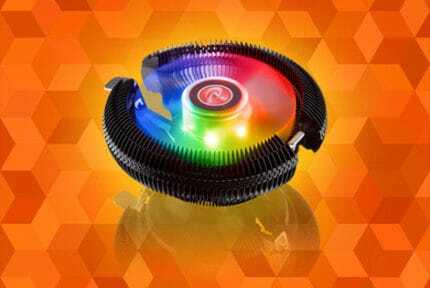 In this short guide, we will go over the most important things that you should consider before getting a new CPU cooler. As previously mentioned in the article, there are several key distinctions between air and liquid-based cooling systems. However, it can all be summarized as: air is cheaper but liquid is more efficient. Essentially, unless you’re planning on doing some heavy overclocking, investing in a liquid cooler is just plain overkill. What’s more, liquid cooling is not necessarily quieter, since it also incorporates one or multiple fans as a means of cooling off the radiator. Therefore, air cooling is the better choice for most users. They are easy to install, they take up less space, are more varied, and are generally more affordable. What’s more, air cooler failures are much easier to handle and there is no risk of an unwanted leak. 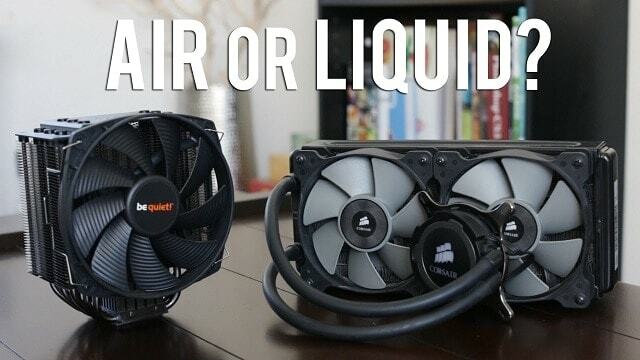 For a more thorough look at how quality air and liquid coolers perform when compared to one another, check out this very useful video from LinusTechTips below! Different sockets from Intel and AMD affect not only the CPU socket itself, but also the mechanism used to secure a cooler in place. Most coolers will be compatible with every mainstream socket, although AM4 support is still somewhat limited. After all, Ryzen CPUs only appeared a year ago, so the various aftermarket cooler manufacturers have not the time to adapt their products to the new socket. The bottom line is, make sure to double check whether the version of the cooler you’re buying is compatible with your current CPU, just to be on the safe side – especially if you’re a Ryzen user. RPM stands for “revolutions-per-minute” and, in layman’s terms, it denotes how fast a fan is spinning. It is a common misconception that higher RPM means better cooling. True, a faster spinning fan may mean more airflow, but there are also two additional factors to consider: the size of the fan and the size of the heatsink. A larger fan means better airflow even with lower RPM, while a larger heatsink also contributes greatly to heat dissipation. Most importantly, lower RPM also means less noise. With that in mind, we could say that lower RPM is better since it will make the cooler run more quietly, all the while other factors will contribute to proper heat dissipation. But ultimately, RPM should not be an estimate of how well a cooler performs, seeing as how on-paper specs are generally not a reliable way to ascertain performance. There’s a reason the company is called Cooler Master and there’s a reason why the Hyper 212 EVO is as popular as it is. It is a very well rounded cooler that brings both good thermal performance and acceptable noise levels in a relatively affordable package. It is by no means the quietest or the best-performing one around, but naturally, a jack of all trades is a master of none. The Water 3.0 may be a tad pricey, but after all, most performance-oriented liquid coolers are. The key to how great this particular cooler is that it combines superb performance with remarkably quiet fans. On top of that, there is also the beautiful implementation of RGB lighting which is sure to bring any PC case to life.